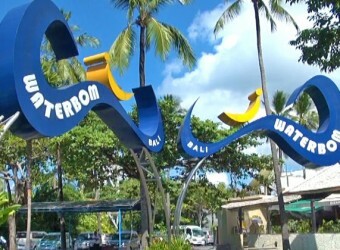 Bali Activity Water Bom is located in the center of Kuta, known as largest ”Water Park”. It is a tropical park !! The jungle ride runs at full speed in the tropical garden, Enjoy water slider, SMASHDOWN, smash straight down form a 8-storey slide at a 60-degree angle and many other activities are available here. Both adult and child can enjoy it. * Transportation service is not available from/to other areas which are not on above. SMASHDOWN High speed slider for single ride! Hit a top speed of 70 km per hour as you smash straight down. Claymax Fall down from 19m hight tube. Thrilling and exciting attraction. MACARONI TUBE For single/ couple ride. Ride on the circle boat and sliding down while floating round. JUNGLE RIDE Single ride slider! 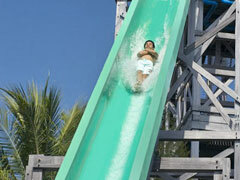 Slide down with high speed throughout the park's lush green garden! LAZY RIVER Everybody enjoy. Ride on the lubber boat and float river slowly. BOOMERANG For single/ couple ride. Slide with high-speed, and going up 20 m high slope! SUPER BALL For single/ couple ride. Rounding many times and fall down to the pool at the end. Fantastic Especially for kids. Can play safely. It is possible to book spa directly on the day, however, it is very popular and there are limited beds, so pre-booking is recommended. With application to Waterbom entrance, or Waterbom Package, HIRO-chan can reserve spa for you. When you apply, please let us know the menu and the number of applicant. 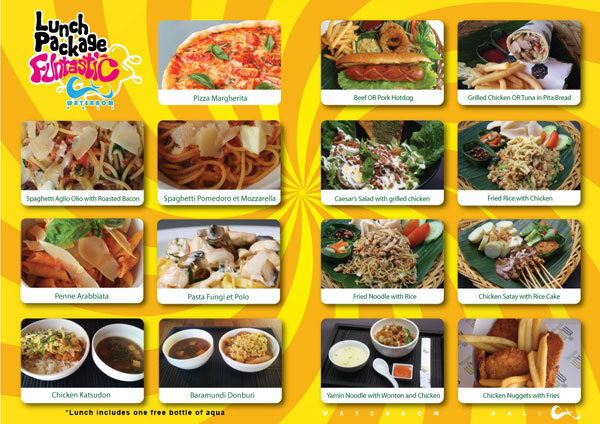 Waterbom Package includes lunch set. You can have meals at the food court in the park. I didn’t think that there is also so much fun pool park. It was good that many pools for children also available. Adult people had a drink at gazebo bar. Everybody can enjoy.